Jack Russell Chihuahua Mix - Could The Jack Chi Be Your Perfect Pet? You are here: Home / Breeds / Mix / Jack Russell Chihuahua Mix – Could The Jack Chi Be Your Perfect Pet? Jack Russell Chihuahua Mix – Could The Jack Chi Be Your Perfect Pet? Are you thinking about getting a Jack Russell Chihuahua Mix? Also known as the Jackuahua, or Jack Chi this cute mix breed is a cross between the popular Jack Russell Terrier and Chihuahua breeds. 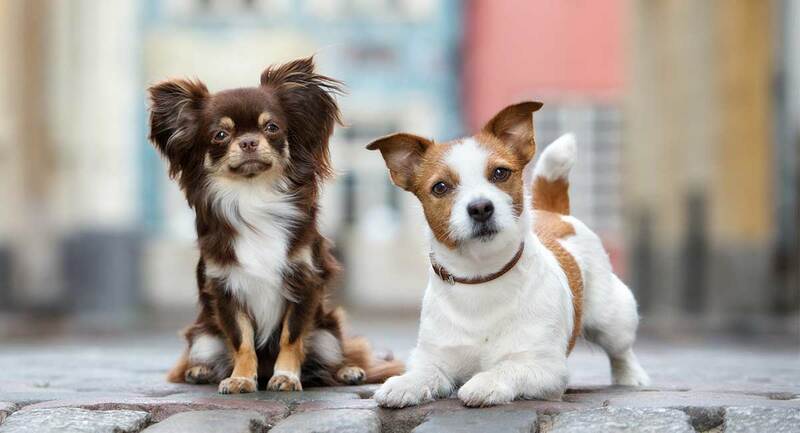 These small dogs are known for their energy and friendly, playful nature. If you’re wondering if a Jack Chi is the right dog for you, here’s what you need to know about this mixed dog breed, from their physical characteristics and health concerns to their temperament and behavior. Mixed breed dogs, like the Jack Russell Chihuahua Mix, are commonly referred to as “designer dogs,” and are the offspring of two different purebred breeds. Love tiny dogs? Then it’s time to get to know the teeny Chiweenie! A purebred has been produced from two dogs of the same registered breed. When it comes to comparing purebreds with hybrid dogs, as mixed breeds are commonly referred to, there are many opinions. Advocates of keeping breeds purebred argue dogs bred to a standard are predictable in terms of size, behavior, and other attributes. Purebred dogs have been known to inherit genetic disorders and poor health due to inbreeding, as the smaller the gene pool, the more likely there will be health problems. The full extent of inherited disorders is now being realized due to the advent of DNA testing in purebred dogs. Fans of mixed breed dogs assert that crossing two different breeds reduces the risk of developing illnesses associated with inbreeding. Hybrid vigor, or heterosis, refers to an improved increase in desirable characteristics and improved health found in the hybrid offspring. Numerous studies have been done with varying results to keep the purebred vs. mixed breed debate ongoing, like this study which found that purebred and mixed breed dogs are equally at risk for some disorders. First generation breeds refer to the initial cross between two separate breeds. For example, crossing a purebred Jack Russell with a purebred Chihuahua results in a first generation Jack Chi. A second generation Jack Chi could be produced from parents who are two Jack Chis, a Jack Chi and a Jack Russell Terrier, or a Jack Chi and a Chihuahua. There is also controversy about first generation mixes. For example, this study found that first generation breeds appeared to be more susceptible to some disorders. 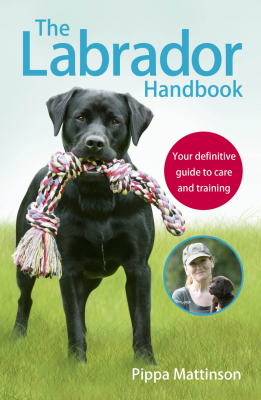 The specific disorder is often a factor regardless of whether it’s a purebred or mixed breed. While results can be confusing, the studies and debates continue. Choosing an ethical, registered breeder is your defense when looking at Jack Chi puppies for adoption. Like many designer dogs, the Jack Chi is a new hybrid so there’s not a lot of historical information available on the Jack Russell Chihuahua mix. They probably originated in the United States in the 1980s or 1990s, a time when crossbreeding regained popularity, and many designer dogs appeared on the scene. The American Kennel Club does not recognize hybrid breeds. To acquire more knowledge of what to expect from the Jack Russell Terrier Chihuahua mix, we’ll look at the history of each parent breed individually. In the early 1800s, the Jack Russell Terrier was developed in England specifically to hunt foxes. Their sturdy, compact body, strong legs, and small chest allowed them to follow their prey into the foxhole and maneuver underground. Originally from the fox terrier group, they were named in honor of hunting enthusiast Reverend John Russell. Energetic, clever, independent, yet friendly, these working dogs are roughly the size of a fox themselves, standing approximately 12 to 14 inches and weighing 13 to 17 pounds. The American Kennel Club does not recognize the Jack Russell Terrier, but this breed is very closely related to the Parson Russell and Russell Terriers. With a lineage that extends back to pre-Columbian times, the tiny Chihuahua is one of the oldest breeds in the Americas. The world’s smallest dog breed weighs no more than six pounds, and stands just five to eight inches in height. Don’t be fooled by their diminutive stature, Chihuahuas have a big personality and a charming, sassy demeanor. Their compact size and confident attitude make them an ideal city dog. Distinctive features include a round, apple-shaped head, large erect ears, and round luminous eyes. The Chihuahua was officially recognized by the American Kennel Club in 1904. 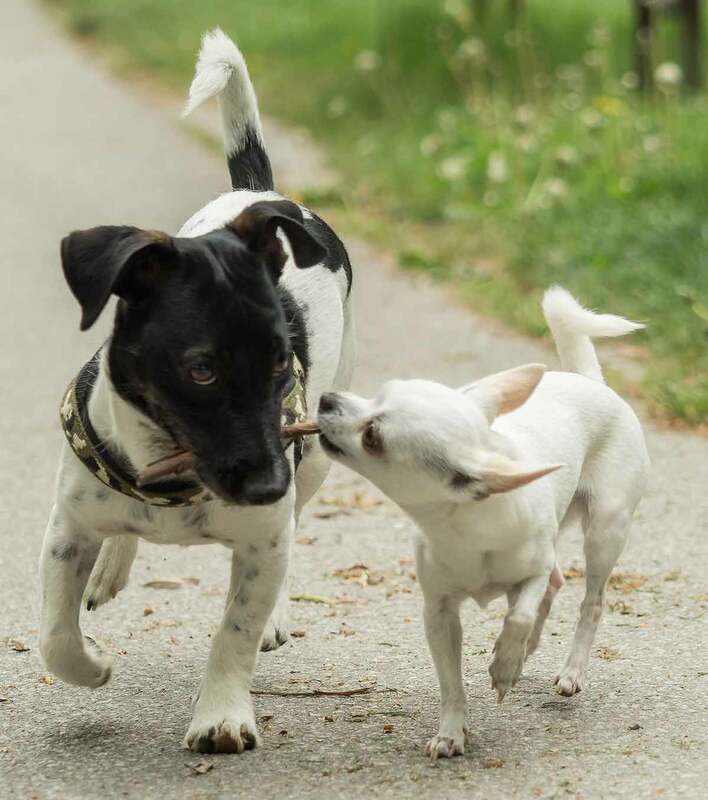 Like any mixed breed, the appearance of Jack Russell and Chihuahua mix puppies can vary greatly depending on the characteristics they inherit from the parents. The average size of both male and female Jack Chis is 10 to 15 inches and weight is 8 to 18 pounds. Their coat is typically short and dense and coloring varies widely including black, white, brown, chocolate, cream, golden, fawn, black & brown, black & white, black & tan, brown & white, dark brown, light brown, and tricolor. Common physical features are a short neck and long, muscular body with the large round eyes of a Chihuahua set in the triangular head of the Jack Russell. Ears can either be pointy and erect like the Chihuahua’s or folded and floppy like the Jack Russell parent. The snout is usually long, but could be thinner than a Jack Russell’s. Hindquarters are strong and muscular, yet the shorter leg length and long, curled tail resemble the Chihuahua. The Jack Chi dog is sweet-tempered, full of love and liveliness. These playful pups require plenty of daily exercise, so long walks a couple of times a day and playing in the dog park or running loose in a fenced yard will help burn off some of that boundless energy and discourage bad behavior. The Jack Russell side will naturally want to be the leader of the pack, making this breed not easily trainable. It’s important to be patient, consistent, and firm while using positive reinforcement to let them know who’s in charge. It’s in the Jack Chi’s nature to smell, and they will often follow their nose. Typically calm and friendly, they like to be cuddled and will get along well with other pets and children, although they sometimes tend to be a little more hyper like the Chihuahua. Early socialization is key to eliminate any signs of aggression. A Jack Chi’s short, dense coat means minimal shedding and maintenance. Brushing them once or twice a week with a hard-bristled brush should be enough to keep their coat smooth and healthy. You should check your Jack Chi’s ears for signs of infection and clean them carefully each week. As with all breeds, keep their teeth clean by brushing them with dog toothpaste at least twice a week. Most of the health concerns associated with Chihuahuas stem from their diminutive size. Dental health is a major concern as tooth crowding is almost inevitable and promotes tooth decay. To prevent periodontitis, brush their teeth with dog toothpaste at least twice a week. Chihuahuas are at an increased risk for dystocia, which means they have trouble giving birth. Due to their small size, Chihuahuas should be fed smaller amounts more often to avoid hypoglycemia, as low blood sugar can be fatal for these tiny pups. Patellar luxation occurs when the kneecap (patella) is dislocated. It is one of the most common orthopedic conditions in toy breeds. Jack Russell Terriers are susceptible to a number of eye diseases. One is glaucoma, which can damage the eye and even eventually cause blindness. Lens luxation is when the lens is dislocated from its normal site behind the cornea. Jack Russell Terriers are also prone to ear infections and deafness. Legg-Perthes is also a potential health problem for the Jack Russell Terrier. A disease of the hip joints, the head of the femur disintegrates, causing pain, limping, and eventually arthritis. Despite being an overall healthy breed, hybrid dogs like the Jack Chi can be prone to health conditions that affect either of its parents, the Jack Russell Terrier and the Chihuahua. When choosing a Chihuahua Jack Russell puppy, you’ll need to consider all the health conditions linked to both breeds. If possible, the breeder should fully health test both puppy’s parents. The Jack Chi might inherit patellar luxation, eye problems, deafness, hypoglycemia, and heart problems. There are some allergy issues, particularly to grass and diet. The Chihuahua is typically more fragile than the Jack Russell and cold climates can also cause problems. The lifespan of a Jack Chi is 13 to 15 years. 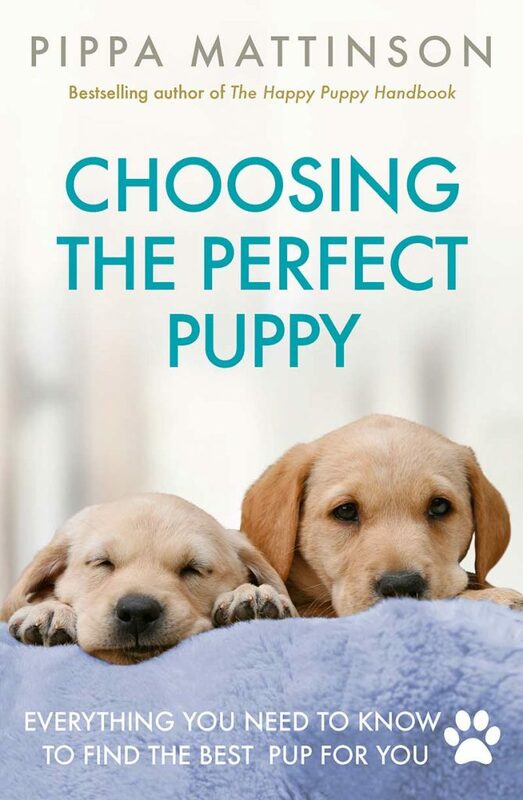 When you choose a purebred puppy you know exactly what kind of dog you’re getting. However, when you acquire a cross breed, like Jack Russell Chihuahua mix puppies, they could have any trait, both physically and temperamentally, of either of the parent breeds. Your best defense against unpredictability is to purchase your Jack Russell Chihuahua puppy from a small, local breeder. Here you can visit the kennel facilities, observe the living conditions, and meet the puppy’s parents and siblings. It’s imperative that the breeder has tested their animals for genetic health issues which impact both of the parent breeds and can provide you with these test results. Remember when you are looking at the Jack Russell Chihuahua price tag, you are paying for a designer dog. It comes with the peace of mind from using a responsible breeder. Is the Jack Terrier Chihuahua mix right for you? If you are looking for a loving but spunky dog with lots of energy, the answer might be yes. Remember that small dogs may not be the best idea around young children. As feisty as both of the parent breeds are, their diminutive size make them less tolerant of rough handling. Do you have a Jack Chi? Let us know in the comments, and be sure to tell us about their fun antics. Is it normal for them to snore…?? We have had our sweet Jack Chi, Jovi, for a year and a half. We got her at 6 weeks old. we thought she was older. She is the most precious and loving princess I have ever seen. She is a loving snuggle baby and is very funny. She loves to play too. She plays with all kinds of toys and if she has misplaced her toys she plays with bowls and my son’s old shoes, but she only plays with her shoes, ones we have given her. and she knows it’s naughty but she loves all socks and toilet paper. Her sorry face earns her a kiss, so probably my fault. haha! So we just try to keep them away from her and we are good. She is great with my two sons, 14 and 8. She even plays with all of us differently to fit how we like to play. She is a very smart and loving member of our family. She even works to cheer us up when we are sad. I am so glad God gave her to us. She is just perfect for us. Our JackChi, Cinnamon, is such a joy. She is a rescue and after almost a year, she is getting very playful. She loves both my wife and I equally but we think she might have had a man abuse her in the past as she sometimes does not come to me. She has been very trainable, but just for basic tricks. She wants to go out with us every time we get up and often looks at us with her sad eyes if we leave her in her pen at home. Her genuine love is refreshing and has given us lots of joy. She really is a GREAT dog and we like her sometimes spunky attitude. Although she has never played with toys, she did know about going to the bathroom outside. She has only messed ONE TIME, she was sick. We love her very much and look forward to many years with her. Our Jack Chi is 4 yrs old. He loves me to throw the ball. If we can’t find it he will get a small bone. He understands the word toy, play, have a drink of water now. He can be stubborn but will sit for treats etc. wait but not so good with drop. He is wonderful on the lead and stays with me. The downside is the high pitched bark, but now usually only barks for a reason. Great watchdog. After he snapped or nipped (8 times) we had to consider putting him to sleep. I took him to our vet and we decided that he had fear anxiety so when people or children come who he doesn’t know we put him in the laundry where he usually sleeps. He doesn’t mind and that solved the problem. He is fine with our older grandchildren who are primary school age. Jumping is still a challenge when he gets excited. I turn my back to him and ignore, however, haven’t been able to solve that challenge. He was checked by our vet and is in really good condition. Does she’d a little and absolutely hates a bath, but with a brush he doesn’t gget smelly. I’ve had mine for 7 years now and she is SO SO sassy and totally a turd if i don’t exercise her. She will legit eat my clothes lol. Love her so much. She helped me through dark times. I just adopted my Jack Chi – last night! I need to paper train him- can I have your personal experiences? Were in Az and soon it will be too hot for any dog or human to go outside too! Its important to keep a journal of feeding and water times so you will know when he has to pee! It will be worth it for the rest of his life ? I liked my jack chi at first but now he’s beginning to be too much! He barks at everyone and goes to the bathroom all around my house! I’m ready to give him away free of charge! Hope you don’t mind me jumping in here, but people like that angers me a little. Ok, well.. they anger me a lot. I just adopted a 4 year old Jack Chi from my local Animal Shelter. She has been with me for 3 days now and she is an amazing animal. Very smart, easy to train and her personality is very hard to not love. The hardest thing that j found with her so far, is picking a name that fits her. When people decide to get an animal. Whatever it may be, needs to take the time in training them. 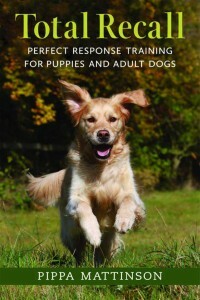 And possibly take time to learn how to train animals. If they don’t have the time, energy or patience. Then they don’t need animals, they need to get a plastic plant they can shove to the courner of the house. There are many videos out there (YouTube) that could show you how to do just that. It breaks my heart seeing all these anals in shelters because of people not wanting them anymore. Sad to think that once they get rid of their animal that they no longer desire to have, they just go out and get another one. Simply put.. some people should not have the right to have pets. I adopted my 5 year old 2 hours ago and he could already ‘sit’. Just taught him how to ‘stay’ half an hour ago for his chicken dinner. He has never had chicken before. It’s easy if you have what they want. My new little guy will be easy to train. He loves treats and is so underweight, I have exactly what he wants … lots of food. He is at least a kilo underweight. A lot for such a little dog. I love him already. Hi, i’ve had my kai`lani, bundle of pure energy since her birth. The nipping and tugging of the blankets is them making a nest to lay in. She will scratch, tug, rub nip at it til it just right for her and then she’ll lay in it for hours resting. It’s called nesting. Sometimes it funny watching her get her blanket ready for bed. Sometimes she just wants to get under the blankets to sleep. I would love to give your jackchi a great home❤ After 12 years and 3 months mine went to heaven. I hope it’s not too late to reply. People should not get angry at you because it does not help your situation. Sometime we say things in frustration because it is hard training a puppy. The key to training is consistency for everything. Both of the breeds you have in one dog are very smart and ACTIVE. The chi can be a little naughty. That is what is so sweet about them. Don’t give up, get yourself some books on training. He will give you years of love and laughter. You will not be sorry because they learn very quick if done correctly. I wish you the best of luck! We rescued a female chihuahua/terrier mix at 8 weeks and she’s absolutely crazy and so loving! She has to be by us all the time and loves to be chased and insists on us throwing toys for her to be brought back. She’s small but has the personality of a big dog, definitely thinks she rules the house. She’s easily trainable as long as we have her Cheerio treats, the hard part is getting her to settle down but lots of patience and repetition has worked and she’s doing great. We are a little surprised at the amount of shedding-it seems heavy and of course she’s mostly white?. Any helpful hints on that would be welcome! Our Jack Chi did well on a dog run. She pulled too much when walked on a leash. We rescued a little Jack Chi from our neighbors. They couldn’t handle his “destructive energy and nippiness” so they were keeping him on the roof of their car port. My husband brought him home and this little dog was absolutely wild. I can see why. He was on a roof for the first 9 months of his life. 4 months later: he is house trained, no longer bites, plays nicely with our other dogs, cuddles constantly, loves fetch and to run. He requires about 4 hours of exercise a day and interactive/challenging games. If he has a tennis ball he is much better behaved. I think the Jack in him requires a “job” which is “to get the ball”. I cannot see this breed being good in an apartment unless the owners could take the dog out for hours a day. If Pablito our little Jack Chi doesn’t get enough play time he tries to eat the furniture and other dogs. Good luck to all. We have a rescue. My wife had a Yorkie until she passed away and I thought she would never have another dog. This little guy has stolen my wife’s heart. All I can say is he has a dominant personality and is very independent while being very loving and so very smart. I love this dog. I love my Jackchi. He was a throw away puppy that I rescued….I never had a dog that small other than a ShitZhu. Champ is his name. He used to bite bark….he no longer bites or barks unless someone comes to the door. My ShitZhu Bobby and Champ get along very well. Bobby is the alpha dog and Champ follows Bobby’s lead…I love this bred…Champ love of toys and will take all the toys out of the toy box and put them in which ever bed he sleeps in. I have a large home and I place dog beds all around. I pick up the toys only to watch this darling little dog take them all out put back into his bed of choice…. I love both my male dogs and cannot imagine being without them. My husband died August 2018 my dogs have been extremely connected to me especially Bobby the ShitZHu…..
My dogs don’t bite or bark I am so happy with my little guys who help me during my recovery and loss of my husband….I have house trained my two dogs on dog pads inside which helps in cold winter times…..they have so much space to run jump and play in our home. YOU HAVE TO TRAIN YOUR DOG…….YOU HAVE TO UNDERSTAND THE BREED OF YOUR DOG…..LOVE FED CLEAN BATHE YOUR DOG. 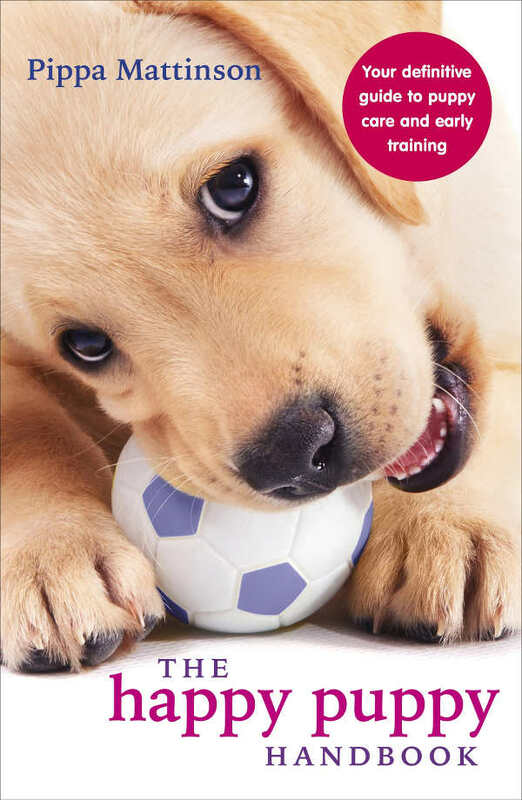 THE MORE TIME TEACHING TRAINING AND LOVING YOUR PET TAKES TIME ITS WORTH IT…..ANIMALS MAKE BETTER FRIENDS LOYAL AND LOVING THAN HUMAN BEINGS. I cant imagine mg life without my two. Mine as well when they get bored they can certainly make things interesting. My little female has started rubbing or nipping on the blankets snd sheets and i dont understand this behavior. Do any of your jack chi russels do do this if so do you know why and please let me know. I took two j3 week old ack chis on dec 26, 2016 to save then grom certain death. I never thought i could llove a little dog and certainly not two little dogs. They captured my heart and soul. My love is returned in tri-folds plus. They can be sassy, give you mean mug looks, hard beaded and stubborn but their love. loyality and innocence, cuddles, kisses (never imagoed o alloe a dog to lick my cheek but i do), funny actions to cheer you when you are down, playing outside is a delightful time. Raising littermates bto n sis has taken alot of hatd work on me and the pupplims abd through teamwork we conquer in a manner that is suited. My babies do have luxtating patella’s, severe allergies. The female suffers from reoccurring ear infection, diabetes, lLuxtating patella’s not even two yoa yret she us very sweet and loving abd good at determining if a new person introduced is good or bad. The male suffers luxtating patells , slight allergies and he is very protective and not afraid to.prove it to znyone who crosses his boundries within his home, yard, HIS GMA (my mom), me or his sister he will.defend whats his but he also has a very good loving a sweer disposition after you pass his sniff test. I separate rhen daily from each other for 4 to 6 hours if possible. Raising littermates is not the best idea to fo but i didny know the dangers till.they got older. Through hsrd work we managed to put s stop to the fighting and bloodshed they done to one another. They do suffer sepatstion anxiety abd it is stsrting to get better. All in all cannot imagine my life without them and i pray upon our death that we neet in heaven for eternity. I love them so much. I couldn’t imagine life without them. I would love other jack chi.i have a 4 year old boy love him to pieces very loveing puppy..how can I get other one. I have had my Charley for 8 years now! he was a rescue dog and had been in as many as 4 homes before I got him. But years ago and I didn’t know at the time but the home was going to be mine! He came with a lot of energy and was extremely hard to train on the leash but it was a necessity since I did not have a yard! he is the sweetest most loving animal I have ever known. He has never bitten anyone loves children loves people and loves to socialize. not afraid of lightning or thunder never shakes like a traditional Chihuahua. He looks more Chihuahua with the exception of his ears being folded but he has the mentality of a Jack Russell. When people see him they expect him to be aggressive and he is exactly the opposite as I stated the most loving peaceful animal I’ve ever known. He never barks at other dogs doesn’t react when they bark at him I guess his only fault would be that he loves to chase cats. He is the most house trained dog I have ever had, he refuses to use the bathroom in the house he will demand to go outside or to go for a walk. I love him with all of my heart anything more. I have a mix breed as well Jack/ Chi . He r oi xks we adopted him 4 years ago he is bbn ot act ij ve he does love walks. He m.k ids amazing well. He never had an accident on the floor in 4 years . I “rescued” my Jack Chi at 4 months old- LOVE her! she is white with beige freckles (hence her name is Freckles) She is so sweet but tends to be timid and shakes when meeting new people(chihuahua trait?) but warms up to people quickly- She loves to cuddle, burrow under the blankets and I love the way she super man flies off the bed! I got my jack chi when she was 9 weeks , she’s about 13 weeks now, I wanted a pure chihuahua but had to settle for what was available nearby , but I love her and everywhere I go people love her and ask to hold her ! Usually I keep her in my jacket since her size makes her cold easily and when people only see her face they think she’s a chihuahua but when she’s out and they see her body is white with black patches they think she’s a jack Russell . I used to have a jack Russell and would really rather this was just a chihuahua but she’s so friendly and playful and I had kinda wanted a staffy and my jack chi won’t let me leave her alone since she came from a huge family with loads f other dogs so when a neglected staffy was finally given up by his owner , the first people who took him said he was too hyper so I took him and although he ignores my jack chi puppy she looooves him and constantly follows him. I don’t know if i can keep him because sadly due to how he was previously treated he’s extremely hard to look after but I’m giving him at least a month to see if he settles in …if not I still have my darling jack chi who sleeps beside my head . I have had my Jack Chi for 6 years now, she was a rescue dog and was taken to train as a Lions Hearing Dog in Australia. As you can imagine she is a very well trained girl that has specific jobs to do her training can be between 7 months to a year. She alerts me to several different sounds and has made my life a lot easier and goes every where I go. She has her free time and that is when she runs around and plays, but even then she considers herself still on duty. She is so well mannered and such a placid dog and loves everyone,even the cat. I find her to be bright and alert and have yet to hear her bark in the yard. The only thing I have found with her is she thinks she is a huge dog and not small,it is so funny. Also just in the last few months she has began to snore and is loud… my son informs me I have not heard her when she first started. I have a rescue jack chi and while she’s a darling most of the time, she can get mean. And the shedding is terrible for a small dog, too. She lets me know when her energy level is high and she’ll run circles in the back yard until she’s tired. She does want to attack any vehicle on the road so walking can be a struggle but I’ve learned if I see the vehicle before she does, I can usually distract her with a treat. 🙂 All in all, she’s a good dog, except for the excessive shedding. She is very smart, too, so it’s fun and a challenge all at the same time.